Life is GREAT here in the Blue Ridge Mountains of North Carolina. We finally made it to that Goldie Locks place where all four seasons are just right. We work as your team to help research, preview, and guide you through the real estate market in the High Country in order to bring you comfortably and confidently to those leisurely days of enjoyment in your new home and life among the Blue Ridge Mountains of North Carolina.Follow us Facebook! I have spent a lot of time in New England, too cold, while Laurie grew up in Texas, too hot, and now it’s great to be alive and living in the High Country! I grew up an Army Brat living all over the continental US and several years in Europe. As a career I have taught science in public, private, and at the University level as well as an Educational Specialist with NASA at the Johnson Space Center. I’ve traveled throughout North and Central America as well as Europe and Russia. Now I enjoy traveling over cool mountain tops, along deep brisk river beds, and through spectacular autumn colors & winter scenes to find that unique High Country home just for you. My husband (Chris) and I moved from Texas to North Carolina, and then to the high country after retiring from teaching science in public schools. Being a Real Estate Buyer’s Agent is my next professional career, and I love it! I've had a variety of jobs throughout my career, which includes working in the space program (Johnson Space Center) for 15 years. One of the most fulfilling things about my Real Estate career is meeting so many nice folks and helping them buy their Dream Home in these cool and beautiful mountains. I absolutely Love to House Hunt! I love the challenge of finding that one unique mountain home that brings the joy of lasting memories to you and your friends. In addition to real estate, I enjoy singing with my church choir and the Ladies Trio group we recently formed. My husband and I also take advantage of all the things living in the high country has to offer - - festivals, open air concerts, kayaking, hiking, and snowshoeing. Life is too short to stay indoors, so take in the views, and explore the mountains and streams of the High Country every day, every season! Get to know us more by checking out one of our informational videos here: What to Expect When Buying A Mountain Home Enjoy! 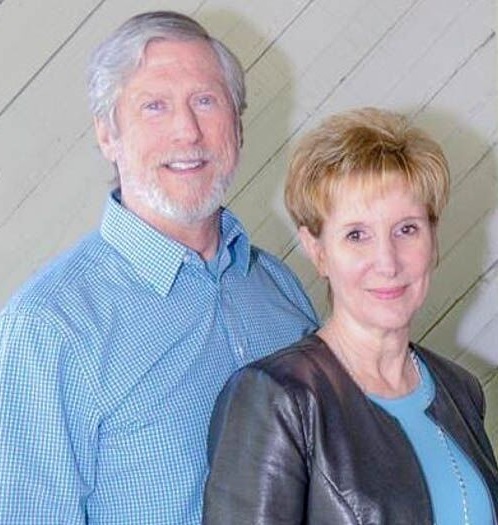 My husband and I worked with agents Chris and Laurie Chilelli. This duo team exceeded expectations. They were, by far, the most accomplished reactors. They were extremely attentive and thorough. If you require a team to assist your realty needs in the Boone area, you must contact these folks! They will not disappoint. All I can say about Laurie and Chris Chilleli is that they're just awesome! They made our High Country home-buying experience a pleasure. Laurie and Chris are extremely knowledgeable about the market, very much attuned to what we wanted and didn't want, they listened carefully to everything we told them, answered all our questions honestly and completely, and were extremely patient with us when we changed our minds about almost everything. Popular Areas in the NC high Country.